April is World Autism Month – Every year on April 2nd the world “lights up blue” to increase awareness about autism. 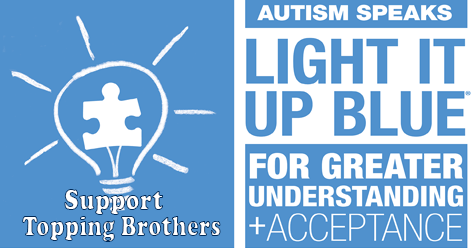 Join the Topping Brothers, AutismSpeaksSCV.com and Wear Blue in Support. Or donate Local! It all goes to the same effort.